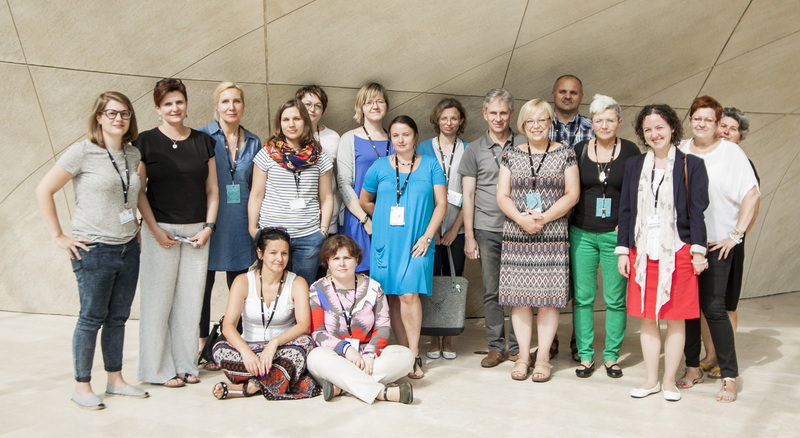 The fifth annual Master Teacher program in Poland (formerly called Teaching with Testimony in the 21st Century) introduced thirteen educators to the Visual History Archive, sparking new ideas for teaching their students about the Holocaust and current events in their country. 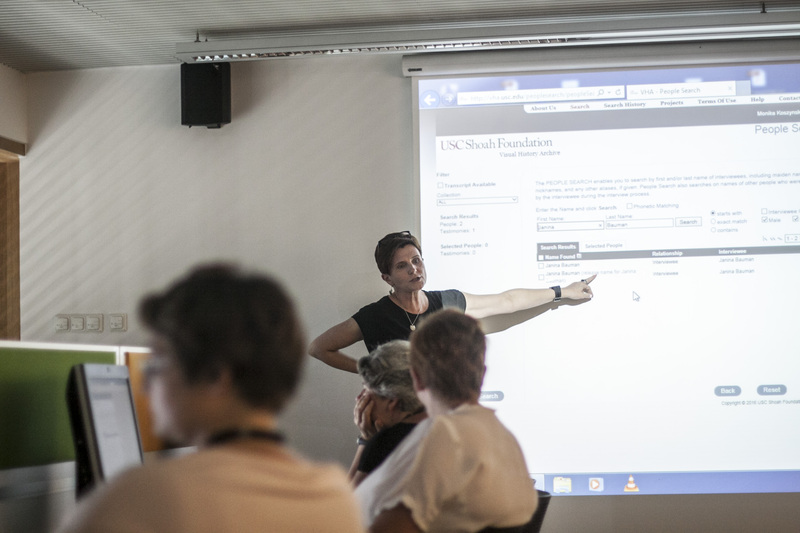 USC Shoah Foundation’s flagship professional development initiative, the Master Teacher program is a two-year program that incorporates workshops, mentoring, and community building to prepare secondary school educators to search for and utilize testimony from the Visual History Archive, as well as digital learning tools such as IWitness. Teachers convene for an initial training session in which USC Shoah Foundation’s local liaisons provide instruction in how to use and integrate testimony in educational materials across various disciplines, how to use testimony to help develop critical thinking skills and encourage multiple approaches, learn and understand the nature of memory especially in a local context, and learn, understand and integrate the principles of constructivist theory of learning into testimony-based teaching materials. 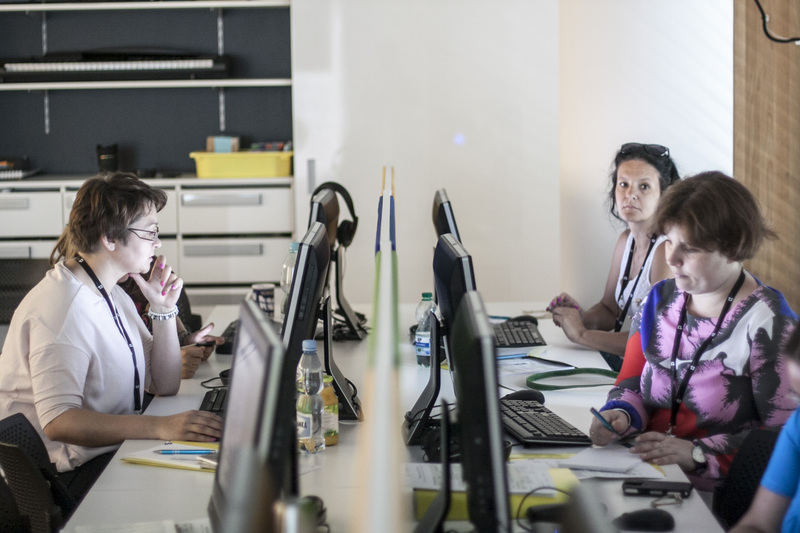 Held at the POLIN Museum of the History of Polish Jews in Warsaw July 19-25, this year’s program had one of the most competitive application processes ever. Only 13 educators were chosen to participate out of 56 applications submitted. The program was led by USC Shoah Foundation’s regional consultant in Poland, Monika Koszyńska, with presentations by Andrea Szőnyi, Senior International Training Consultant based in Hungary, and Martin Šmok, Senior International Program Consultant based in Czech Republic. 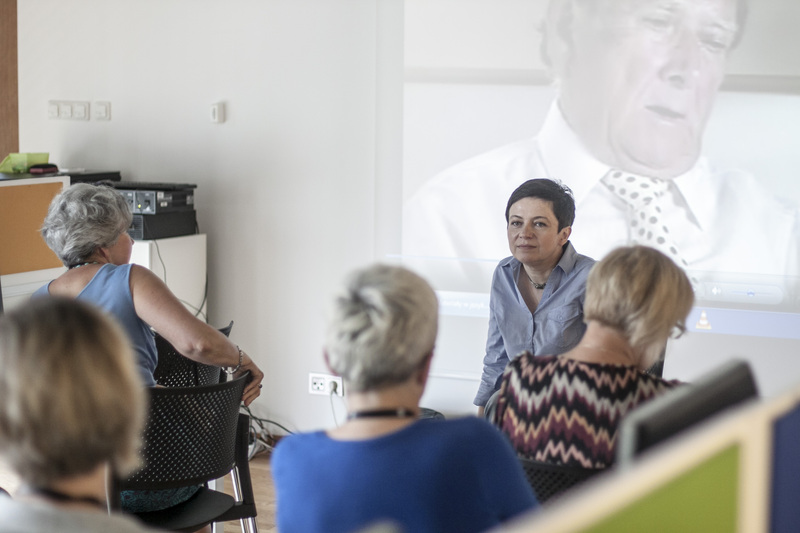 Koszyńska said that from the beginning of the training it was clear that this particular group of educators was most interested in local history – the testimonies of survivors from their own cities. “Participants were amazed by the richness of the Visual History Archive – how many witnesses whose testimonies were collected by USC Shoah Foundation came from their home cities, and some of them were even the graduates of the schools in which they are teaching now,” Koszyńska said. In her presentation, Szőnyi shared ideas for how educators can use interviewees’ nonverbal communication in teaching with testimony. The participants also reacted positively to Šmok’s presentation about the danger of continuing to pass on the “enemy construct” of the “mythical Jew,” which has not changed since the Middle Ages. This was especially relevant to the Polish educators because currently the Polish Minister of Education and the new chairman of one of the biggest state-run institutions dedicated to research and education about the contemporary history of Poland have publicly doubted and falsified historical facts about Polish perpetrators of the Holocaust. “The reality of right wing government of Poland and its attempt “to change the past” creates new responsibilities of teachers and they are very aware of it and that is why they find very useful the possibility of using video testimonies of survivors as a tool in passing on historical truth, with a human touch, to their students,” Koszyńska said. 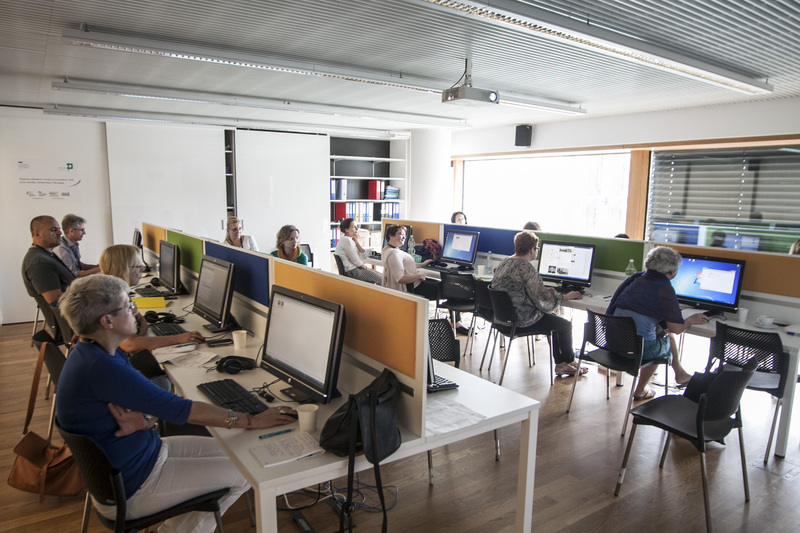 Following the training, the educators all expressed their desire to use IWitness in their classrooms, and the majority of them want to create IWalks dedicated to the local history of their towns in order to help their students better understand their hometowns’ multiethnic past. IWalks are USC Shoah Foundation’s walks around historic locations in Europe, guided by testimony clips describing events of the Holocaust that happened in these very places. The educators will now design and pilot their own testimony-based lessons in their classrooms, and will present their lessons and experiences to each other at the follow-up session in February 2017. 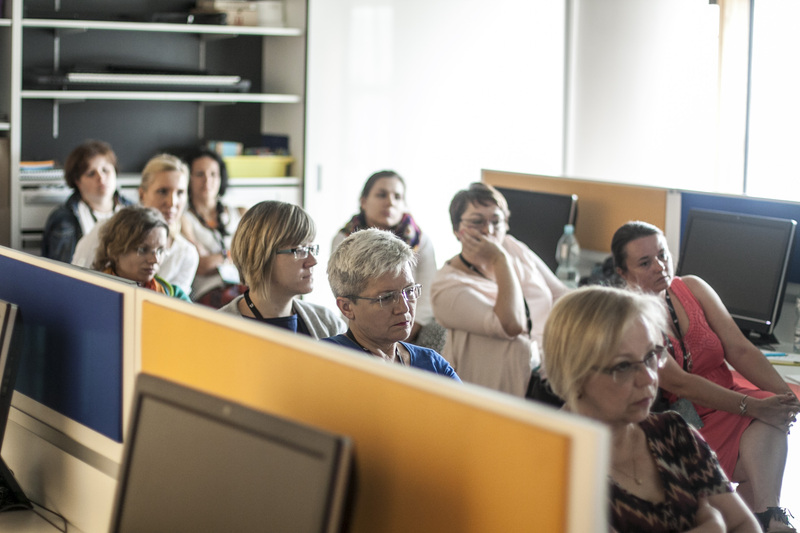 “I hope that when we all will meet in half a year from now the teachers will show again new approaches of using video testimonies, as they have in past editions of the Master Teacher program,” Koszyńska said.